I previously blogged about how miserable, weather wise the rally was this year. And Steve & Eric Folkestad tapped out. Meaning they surrendered to the weather and the public outcry and decided to move the date of the annual event. It’s a smart move given the weather over the last 3 years has prevented this rally from achieving its full potential. 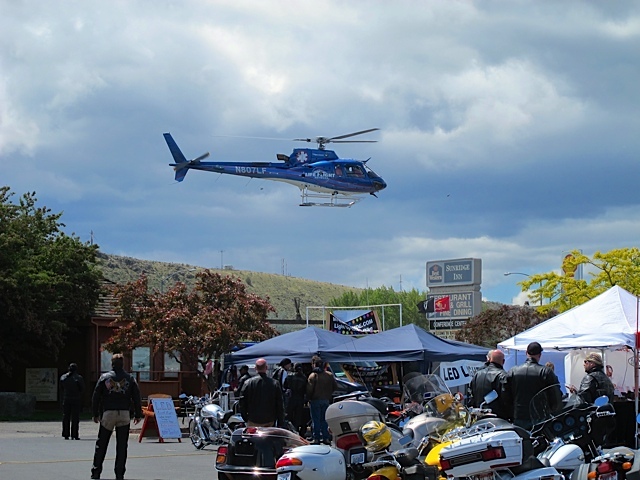 The new dates for the Hells Canyon Motorcycle Rally are now July 12-15, 2013. Mark your calendar because the Devil’s Tail with hundreds of curves, blue sky and t-shirt warm temps will be a spectacular view. Speaking of the Devil’s Tail — it can easily lull you into a catatonic state-of-mind during the 20+ miles of curves and may let your attention drift off the road. Don’t let it! And speaking of attention span, during this years rally around 1:30 p.m. on Saturday June 9th, at milepost 17, on the Idaho Power Road leading to Hell’s Canyon Dam one person was killed and another injured after the two motorcyclists collided. I was talking with a person (name withheld) later in the day about the accident… as their group was the first to come up on the accident and it looked like a sport bike failed to stay in his lane and traveled left of the double yellow center line, where it collided with the other motorcycle. Life Flight was called in, but John S. McCree, 68, of Port Orchard, Washington later died from his injuries. According to law enforcement reports it didn’t appear that weather or alcohol was a factor in this crash. This same group also came up on a sport bike accident a couple hours later on that same road. 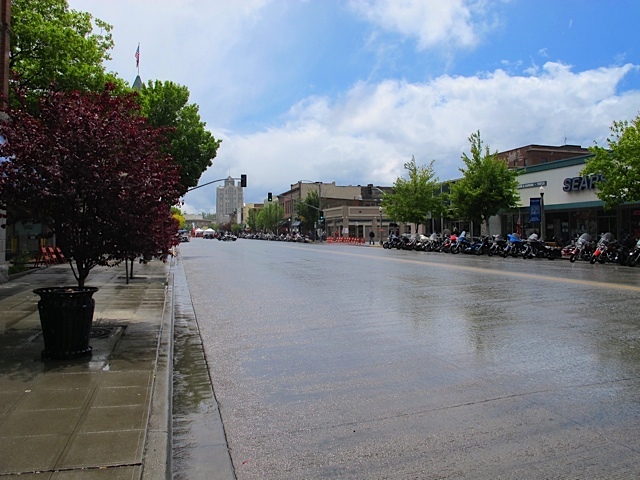 The above motorcycle accident along with the one on Highway 7 which occurred just 11 days earlier make this one of the deadliest starts to the “summer” riding season for the Baker City area. My thoughts and prayers are with the McCree, Mohrland, and the Currey families. I’ll get right to the point. Huh? You may remember this as the phenomenon that whenever Al Gore discusses Global warming it leads to unseasonably wicked cold temperatures, driving rain, hail, or snow mix whenever he visits an area. I’m not exactly sure where Mr. Gore was located last weekend, but I’m darn sure he had to be thinking about the northwest, because Baker City, Oregon got slapped hard with a cold wet rag right to the face! If you’re unfamiliar with the rally, it’s located on the border of Oregon and Idaho and Hells Canyon is the deepest canyon in North America. 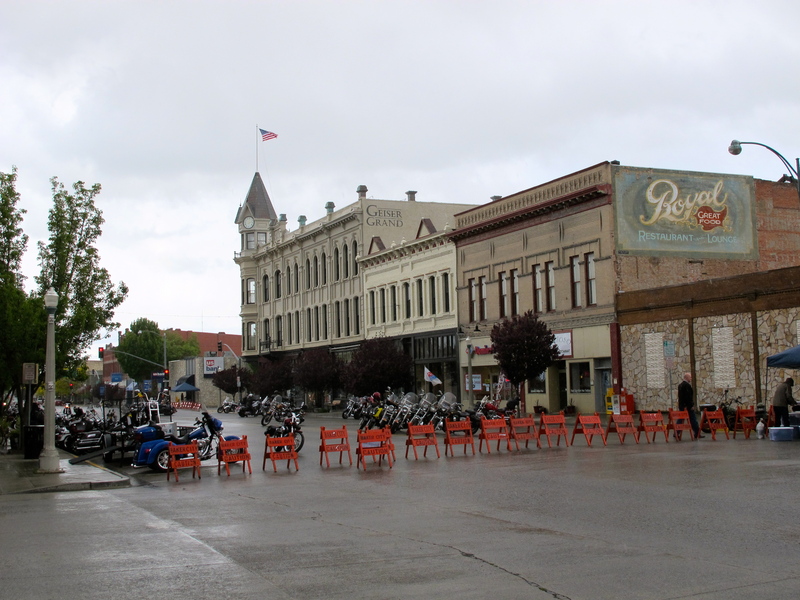 Motorcycle riders come from all over to ride the Devil’s Tail, visit Historic Baker City, Oregon and then travel along the various Hells Canyon Scenic Byways. So, here is the ASK of Steve and Eric Folkestad, (organizers of the HCMR rally): Send Al Gore a letter asking that he never think about the northwest or better yet, after attending this rally 4 previous years and having some portion of it significantly disrupted by poor/bad weather let’s move the date! HCMR – Temperature kept going down, and down! This past weekend was the straw that pushed me over the edge. Unless the date of this event moves out to later in the month/year, I don’t plan to return! And if the random survey I took with several other riders was any indicator, there are a number of motorcycle enthusiasts who plan to remove HCMR from their list of early summer (“June-ary”) rides. Hey we’re a hardy bunch, but clearly riders would like to guarantee improve the odds of better weather for this great event. And just because the Sunridge Hotel had the largest crowds in the city huddled around two patio warmers don’t think I’m railing against Global warming. Nothing could be more fun in my book – sarcasm alert – than holding a cold refreshment in 40 degree rain while standing six people deep around a patio warmer trying to catch a little bit of heat. Don’t make us start a Facebook petition to move the date! Thermal factors such as air temperature, radiant temperature, air velocity and humidity all contribute to our riding comfort. Or some would say DIS-comfort?! My trip in April through the Willamette and Modoc National Forest to Laughlin and then most recently the ride to the Hells Canyon Rally reminded me how stubbornly, Mother Nature refuses us the ability to control these thermal factors. During those trips, I was plugged in for multiple hours during the day to combat the rain/cold weather and it got me to thinking about my H-D heated clothing. I’ll do this on occasion as I meander along the highway listening to the engine noise as a musical backdrop. I bought my current heated vest and gloves back in 2000 after returning home from a bitter cold trip to Reno. It was during Street Vibrations and it snowed on the surrounding hills in late September. I recall leaving Reno wearing multiple pairs of socks, long-sleeve t-shirts, handkerchief around the face and ski gloves and it wasn’t enough. 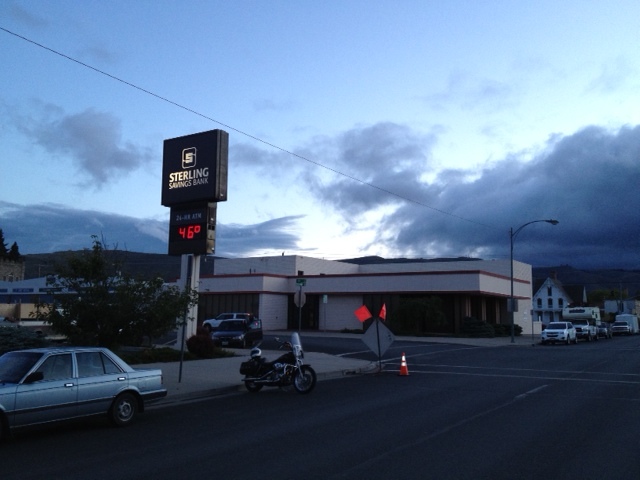 Snow was falling on the ground in Susanville and by the time I arrived in Grants Pass I was nearly frozen. Vowing to never let that happen again I immediately went out and bought the gear for future trips. I always pack it on the bike if I think the weather has a chance of being dicey where I’m going. It’s well known that when colder outside temperatures occur, the nervous system restricts blood flow to the extremities to maintain the body’s core temperatures. The toes and the fingers quickly become uncomfortably cold. Other factors like wind chill aggravate the situation even more. Also, the presence of moisture increases thermal transfer significantly and causes heat to escape more rapidly and cold to penetrate faster. Clearly the type of clothing we wear, the physical activity levels and individual physiology are elements of thermal comfort we can control. So, I started wondering… did H-D design and make this gear or was it outsourced. 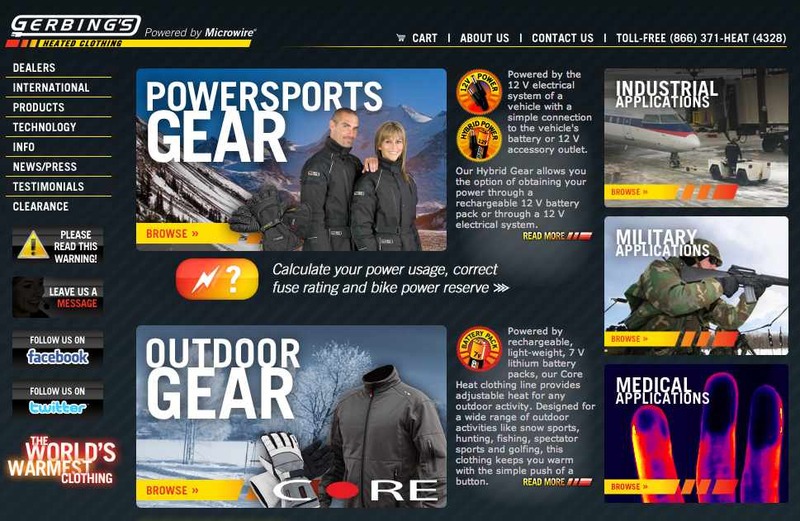 My search led me to Gerbing’s heated clothing, which is the sole supplier of Harley-Davidson heated gear. Back in the 1970’s Gordon Gerbing owned a small machine shop just south of Seattle that primarily produced parts for Boeing airplanes. Several of his employees rode motorcycles to work all year, even through the Seattle winter chill and dampness. Gordon made note of their discomfort when employees arrived at work after a cold morning’s winter ride and he decided to look for a way to keep the riders warm. He devised a way to “wire up” motorcycle clothing with heating pads and connect the pads to the bike’s electrical system. Over the years Jeff and Wendy Gerbing assumed management of the business and it’s a family affair. As the technology improved they won more deals and then in 1999, Harley-Davidson selected Gerbing’s to be the sole supplier of Harley-Davidson label heated clothing. Basically the wire inside the garment consists of bundles of stainless steel strands, twisted and wrapped in a thin Teflon-derived coating. They alter the number of these strands in each wire to custom-tune the amount of heat. By using these wires either in a heating pad, in a woven pattern or in a ribbon matrix they can further tune how the heat is delivered to the body. In the fall of 2008 Gerbing’s moved into a new 30,000 sq ft facility located in Tumwater, WA., and this year they announced plans to expand into North Carolina (Stoneville) with a new plant that will create 158 jobs by 2015. They will open an 88,000-square-foot facility and the company plans to invest more than $1.2 million in building upgrades and equipment with help from state, county and local incentives. These days Gerbing’s clothing is not only popular with motorcyclists but includes hunters, fishermen and professional athletes. Among its customers are teams in the National Football League and Major League Baseball as well as law enforcement and the military. The new facility in North Carolina is also part of a move to relocate the company’s manufacturing operations to the U.S. from China, where Gerbing had difficulty obtaining deliveries on time. After 10+ years of use, I for one truly appreciate their heated clothing and it’s especially rewarding to hear in this economic climate about a manufacture bringing jobs back to the U.S.
You (almost) thought it would never happen but, finally, winter is waning. Let’s face it, riding anything (including a riding lawn mower) in the northwest has been a chilling and damp experience! And we still have many cold, wet days ahead even though spring is supposedly here. Portland (OR) normally receives an average of 3.71 inches of rain during March, but at the end of the month we had received 6.49 inches (5th highest on record) and there were 29 days of measurable rain breaking the old record of 27 days. And on the very last day of month was the first time we witnessed the temperature gauge hitting 60 degrees… the latest date in recorded history to reach that mark. Yep, a lot of records were broken and not necessarily in a good way. But, no worries if you like the drizzle it’s going to be another soggy week throughout the area with high temperatures reaching all the way up to the mid- 50s. My point is that I’m trying to sketch out my spring and summer riding entertainment and the weather is making it difficult to visualize. What with all the boating, hiking, photography, local festivals and drinking of refreshments over the BBQ I’m not sure if I can fit it all in which is largely dependent on when the rain will subside. Last year I laid a plan out HERE and was fortunate to have the budget to complete three (Laughlin, 70th Sturgis, Street Vibrations) of the five trips as well as the Hells Canyon rally. It was a lot of miles and a good riding year in my book! It got me to thinking about all those miles last year and the first surprise to me is how much better motorcycle clothing has become. It use to be a worn out leather jacket to carry you through summer and winter riding, augmented with a vest or long sleeve shirt or two. Now days there are heated hand grips, heated clothing and a variety of wind blocking jackets with reflective piping. In addition there are all these Gore-Tex waterproof pullovers, neckerchiefs and face masks that do exactly what they were meant too. 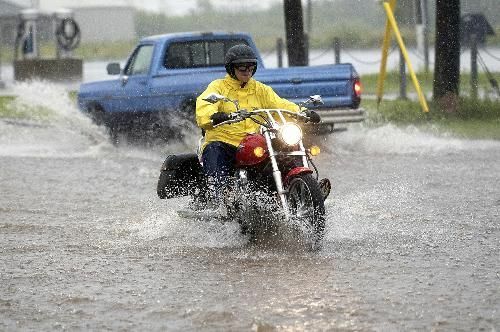 Let’s see, if drizzle falls at about 3-4mph and big rain drops fall at about 7-8mph… then the difference of a walk in the rain vs. a motorcycle ride in the rain is about ten times the speed. Ten times as much water hits you per second. I won’t go into the mathematical proof here, but think about that and the fact that rain is hitting the rider horizontally, not just vertically. First the air gets cold, then the rider is hit with a wall of spray from trucks that is mixed with oil residue all the while the face shield accumulates condensation … Is there any wonder why so many motorcyclists try and limit their riding in the rain?! But, I’ve really digressed. Time to hit “repeat” on the iPod and sketch out my riding plans…for when there is less rain! Riding from Las Vegas to Laughlin reminded me of that Stan Ridgway song of “Mexican Radio” fame. We felt the hot wind on our shoulders as the group rode through the Mojave Desert, and this number is stuck in my head, perfectly fitting the experience. We arrived at the Laughlin River Run prior to the rally hitting full speed. The streets were eerily absent of motorcycles and the few open vendor booths didn’t have a large parade of people yet. It could have been mistaken for just any other day along Casino Drive. 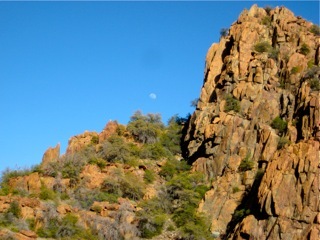 Our plans didn’t have us staying but one night in Laughlin as we had a lot of far reaching scenery in Arizona to cover. A quick scan after returning indicated that attendance was around 35,000 people who showed up to take in the festivities which was slightly up from last year. 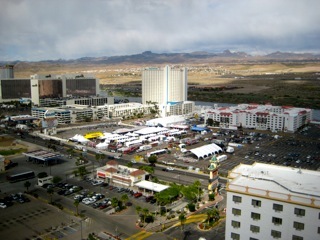 The economy did make an impact as there were about half the normal number of vendors in the casino parking lots. And other than four DUI arrests and a new 2010 H-D motorcycle catching fire due to an oil leak it was largely an uneventful weekend. Certainly different from the 90+ arrests back in 2007. I like to try and think up biker quotes. You know the type. A journey of a thousand miles begins with a dead battery. But I don’t have anything for thirty degrees and snow which is what we hit! On Thursday we were only on the South Rim for a couple hours. 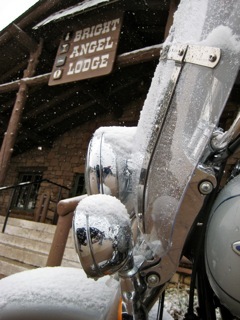 Deployed at the Bright Angel Lodge and the weather made it down right uncomfortable. Someone in the posse stated they hadn’t been there since the ‘70s. Needless to say, the Grand Canyon hadn’t changed. It’s vast! Far larger than you can imagine, almost too big to comprehend. A huge hole with giant mountains amidst the vast valleys. After taking in the frigid panorama scene, our plan was to limit the viewpoints and return to warmth. Fog prevented any visibility for the first 30 minutes, but then the views turned awesome with the sheer walls nearby emblazoned red. One could get out on the edge and look straight down. And that’s what it is, straight down. A cliff. The sides of the Grand Canyon don’t slope they are vertical. You’re just feet away from an abyss. Then suddenly there is a realization that you’re standing in snow and could slip. And did you really want to go this way? This isn’t how it’s supposed to be in America. The land of helmets, seatbelts and airbags, where we release our children into society in bubble wrap, worried they might get bruised by the slightest of contact. America is safe, we’re protected. Clearly they didn’t get the memo at the Canyon. Angled and uneven paths meant that a stumble or a slight slip and you’re a goner! We stepped away from the cliff and made our way to the restaurant to warm up. In route we stopped to talk with some riders who traveled from Germany and couldn’t believe the snow. 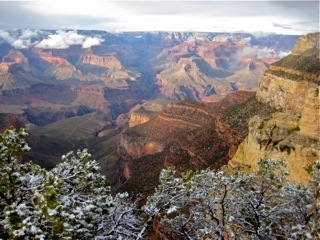 We overnighted outside the canyon park in Tusayan and watched the snow fall during dinner. On Friday we were looking to ride in some warmer weather and wasted no time in making our way south. We had a chili dog lunch at the famous Mr. D’z Route 66 Diner in Kingman then it was off to Lake Havasu. We arrived to witness a large number of people and performance boats in town for the Desert Storm races. Complete with stereo and shoot out contests for the fastest boat in the west. On Saturday morning based on some local feedback the night before we decided to back track to Highway 93 and head south toward Phoenix then take SR97 and SR96 through Skull Valley. 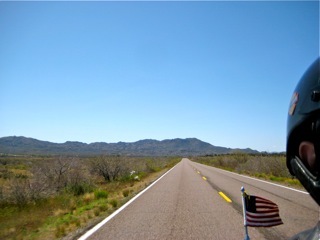 There we were amidst the lonely cacti and occasional sage brush riding through sweeping canyons on highway 93. We got a taste of history in the small town of Skull Valley. It’s home to the Prescott Pandemonium Motorcycle Rally and we grabbed burgers at the local diner which as luck would have it opened only a couple days earlier. We were rewarded with some good food and great service! 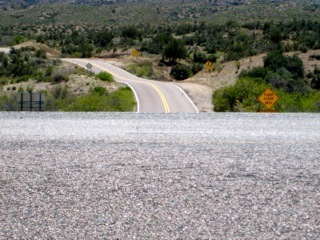 We continued riding up to Prescott on AZ 89A and then through the Prescott National Forest. The small town of Jerome reminded of Virginia City, NV as it has a very similar mining history. Our view of the town was from the motorcycle seat and I hope to visit again when I have more time to take in the scene. We continued on 89A to Sedona hoping to find a motel. Unfortunately with Sedona being the second most popular tourist destination after the Grand Canyon we had to push on to Flagstaff because rooms were full. 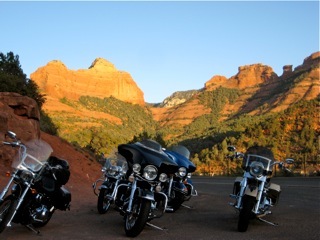 The 45 minute ride up through Oak Creek Canyon was a cool sub-50 degrees, but the sun setting provided spectacular photo’s of the red sandstone formations. We roared right past the Mogollon Rim rest area and view the valley, rather headed directly to a Best Western on Route 66 and jumped into a hot shower! On our final day of travel we had to ride back to Las Vegas and drop the motorcycles. Heading out of Flagstaff on I-40 becomes a little “boring” with about a 2000 feet drop in less than an hour and nothing but scrubland as far as eye can see. The 75MPH speed limit kept us alert especially trying to dodge the numerous ruts and pot holes made from so many semi-trucks. This is the worst interstate road I’ve traveled and maybe the worst highway in Arizona? At Kingman, we rolled onto highway 93 toward Hoover Dam and the scrubland became most flat from Grasshopper Junction until we got within 10 miles of the dam. We rolled across the dam and made our way into Las Vegas for the motorcycle drop with KGM Motorcycle Transport who did a great job and a shout out to Mike! 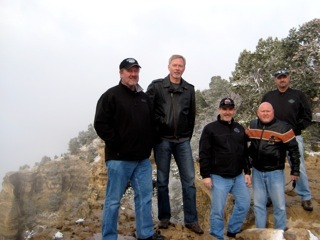 With bikes loaded and temperatures nearing 90 degrees the snow in the canyon was a distant memory as refreshments in the Hard Rock came to our minds. Well we waited several minutes, but the early morning departure out of Banff didn’t change the hard cold facts. It was 47 degrees and wet! Where did this damn winter weather come from? Indeed there were ominous black clouds circling around the town and after we fueled up and traveled 10 minutes down the road they busted loose. We were not caught unaware. Parking under an overpass we climbed into full rain gear. Yet, the steady downpour seemed to soak everything. We determined our rain gear was worth every penny, but hardly a fashion statement as we fumbled around trying to get it all on. They are typically a bit musty smelly after being rolled up for months, heavy to wear and somewhat long, but they did the trick and kept us dry. The good news in all of this? After about 30 minutes and before we reached Radium Hot Springs the rain was history, the road had dried out and we spent time discussing wildlife (Coyote, Deer etc) seen in route through Kootenay National Park. Despite being named after a radioactive element the hot springs has none and is has the largest pool of 103 degree water in Canada. As cold as the day started it was most difficult not to check in and grab a few hours in the hot spring! Exiting Radium the posse split up. Part of the crew wanted to travel more miles and make it to the “Going to the Sun Road” in St. Mary, Montana. Others wanted to steer clear of any rain and elected to navigate toward a more southerly and warmer route to Cranbrook and then to Missoula, MT. We were part of the “more miles” crew and the cold weather limited our sightseeing and photo stops, but a couple items stood out. First was the Frank Slide in Frank, Alberta. Frank is a coal mining town in the Crowsnest Pass. Back in the early 1900’s the east side of Turtle Mountain broke free and the slab of limestone rock covered 1.5 miles destroying most of the town and killing 76 people. It’s now a regional tourist attraction. The second was tucked away in the rugged mountains — the little town of Fernie, BC. It is fully encircled by the Rocky Mountains and has a ski resort (Fernie Alpine Resort) with the highest annual snowfall of any resort in the Canadian Rockies. At about 6pm local we arrived at the Saint Mary Lodge on junction Hwy89 and the “Going to the Sun Road” which runs through Glacier National Park (Montana). It was a long riding day. Fortunately we’d made reservations weeks in advance and secured the remaining cabins vs. a replica Indian tepee. The place was fully booked! There was no cell phone service and the Hughes Net Satellite internet was malfunctioning… so, we were off the tweet grid! Side note: if you plan to go this route an alternative is to stay in Pincher Creek, Alberta where they had several motels and you won’t have to make reservations months in advance for the Park service lodge. Had we known this we would have avoided the rustic cabin adventure. After grabbing some fairly good grub at the Snowgoose Grill we crashed with four TV channels looking forward to the next days ride through Glacier park. The 107 to 47 Journey – Part One HERE; Part Two HERE; Part Four HERE. Yesterday was the first day of winter. Fierce winter storms and unusually cold temperatures smothered the northwest these past few days. Portland, OR recorded the most snow fall on record since 1968! Sure it’s not like the -40 degrees which northern Maine is experiencing, but none the less it’s cold with gusting winds, power outages, more than a foot of snow with ½ inch of freezing rain crust across the entire metro area. I fired up the 4×4 and drove through the wintery mix to Paradise Harley-Davidson and took the above photo. A memorable photo as it’s not something we see unless you’re in Montana or Northern Idaho! Clearly this does not help the motorcycle sales situation…but does make for a great snow filled Christmas.